"Your call is answered by a happy human in 2 rings." 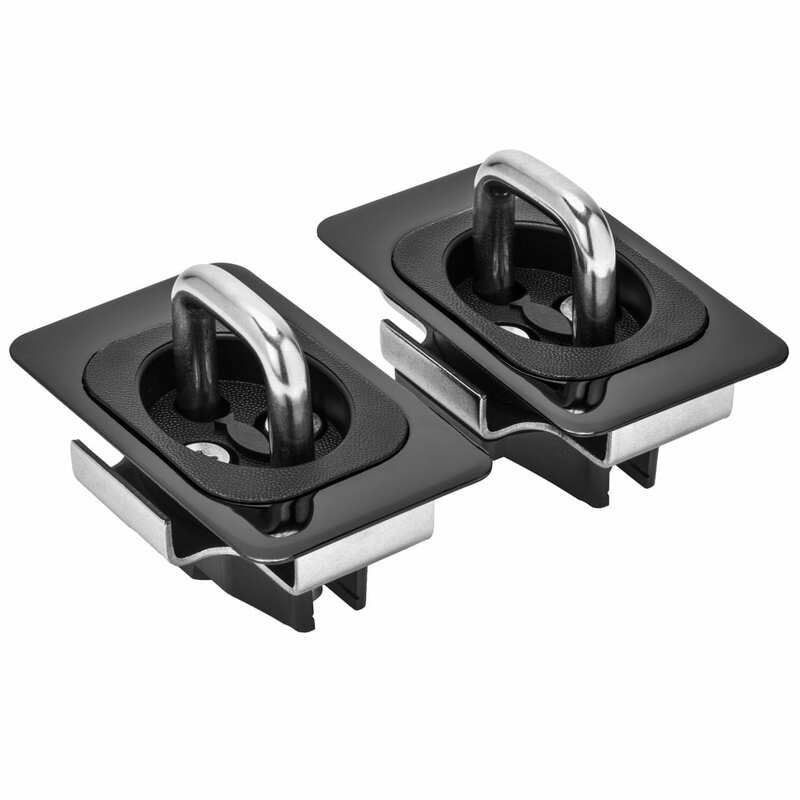 New, Black Nickel finish Bull Ring for 2019 RAM Front Pocket only- Trim rail cap with blade or router and install in 30 seconds. 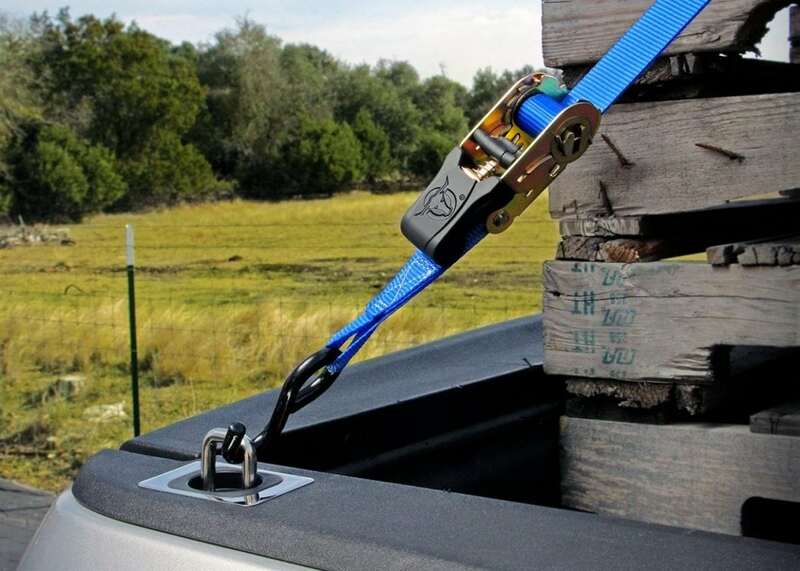 Snaps up- snaps down- stores flush, holds 1000 pounds-comes with a lifetime warranty. 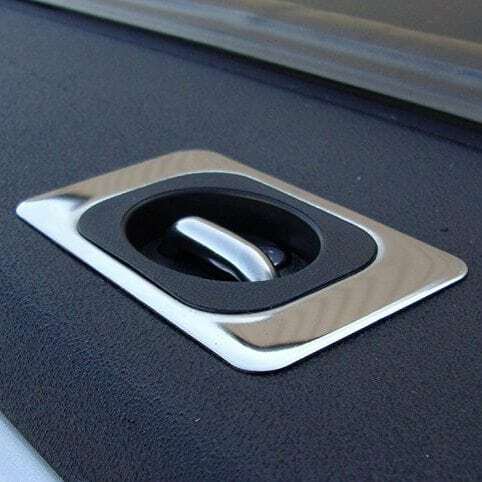 New for the 2019 RAM Front Stake Pocket location, near the cab, the 5068 has a high gloss, black nickel finish. 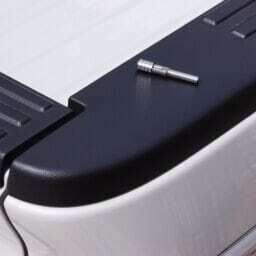 The low profile design works great with tonneau cover and matches the 5066 ( for 2019 RAM Rear Pockets). 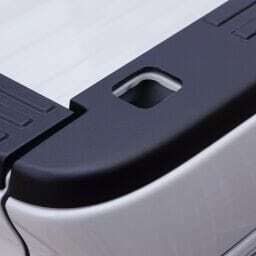 RAM Rail Cap front pockets are covered by the rail cap and require trimming to the steel hole for installation. Trimming can be done with our patented, Router bit and any American 1/4″ shaft router- or by hand with a sturdy razor knife and a brand new blade. Please watch the video overview of installation, available on the Installation tab on this web site-scroll down to RAM Overview. After rail cap trim, the Bull Ring sits on top of the rail, but is quite thin and easily accommodates most Tonneau covers. 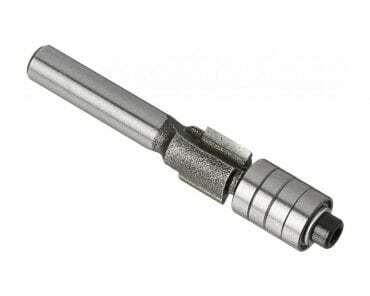 The stainless ring snaps up for use and snaps back down to flush and stores out of the way. 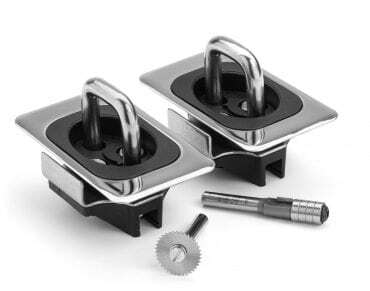 The ring is large enough for 2 large “S” hooks or ropes and is rated at over 1000 pounds. 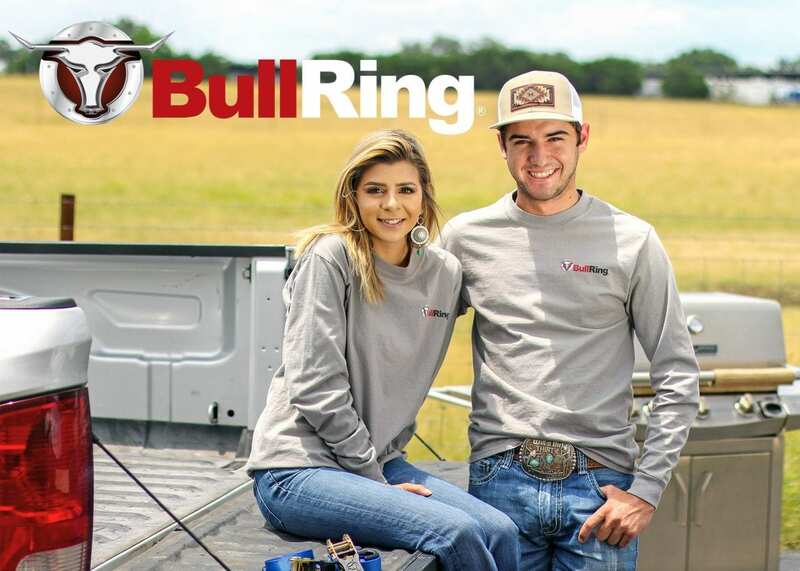 With everything we sell- it boasts a 100 % satisfaction guarantee and a Lifetime warranty. 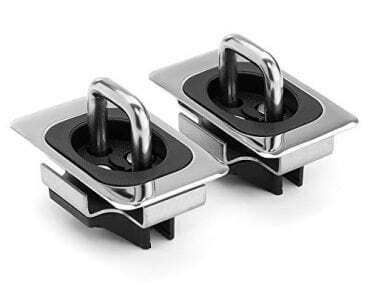 2019 RAM Please Note** Important Update** this item 5068 installs at Front Pockets on 2019 RAMS.